TRIO is designed to identify and provide services for students from disadvantaged backgrounds. TRiO includes eight programs targeted to assist low-income, first-generation, and students with disabilities successfully from middle school through postbaccalaureate programs. Applicants must be currently enrolled or accepted for enrollment at MCC. Applicants must be a U.S. citizen or National of the United States or meets the residency requirements for federal student financial assistance (FAFSA). All services are provided at no cost to accepted program participants. The term low-income individual means an in individual whose family's taxable income for the preceding year did not exceed 150 percent of the poverty level amount. The figures show under family income represent amounts equal to 150 percent of the family income levels. Download a pdf version of the above chart here. Do you need extra help with a class you are currently enrolled in? Click here to complete the TRIO Tutor request form. It can take up to 48 hours to get your tutor assignment and scheduled meetings finalized. 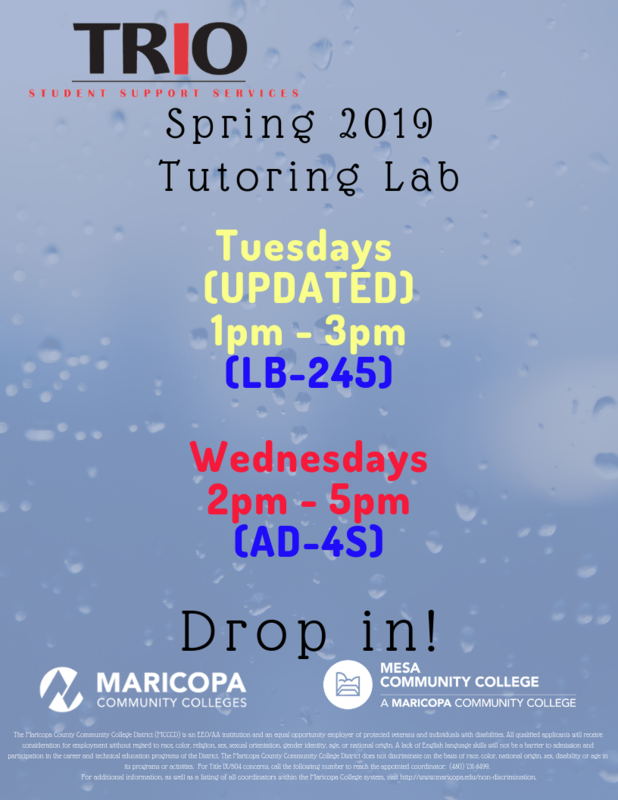 TRIO also offers an open tutoring lab every semester. This open lab provides an opportunity to "drop in" and get some quick help and is a good way to get consistent weekly help.